The vampire folklore of counting inspired this episode of our Best MT4 Indicators. This is a candlestick math indicator to assist you with finding points of exhaustion based on time alone. We call this indicator the count as explained in the video because of the vampire folklore of their compulsion to stop and count objects or actions in their environment. What the count does is to count consecutive candles based on dynamic specific long and short term windowing that we have arrived at through observation and statistics. I talk a bit about the Greeks and the concept of Theta ( time ) and how essentially candlesticks are just graphical representations of time and prices. 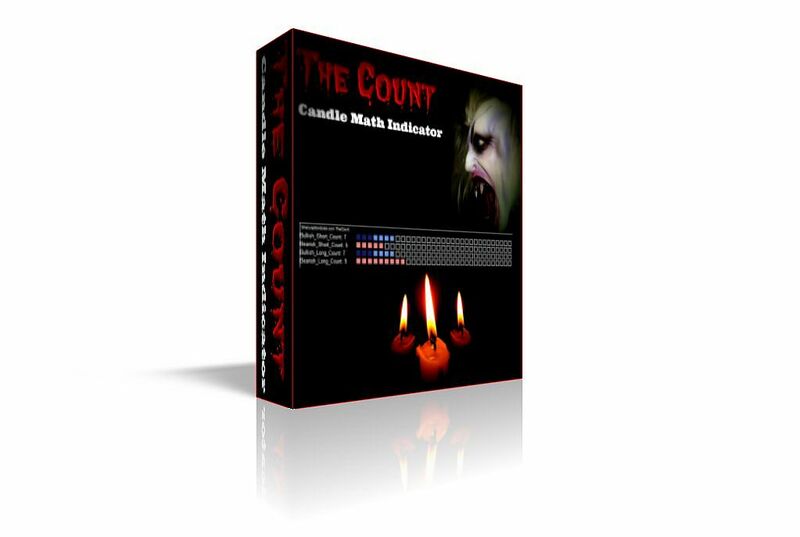 Because of need for consecutive candles we think using the count will assist traders with exercising patience and playing what vampires call the long game. Also factoring time into your trading can often reveal points of interests to speculate on that may not be as evident by just observing price. I am going to explain the count indicator in detail and also there is a live binary options trade based in part on the sequence of candles spotted with the count as well as some interesting levels and price action at the time. You can set alerts to be sent to your email and or phone via SMS when a particular count has been reached and you can also hear different audible alerts triggered using this MT4 indicator depending on if we break the long or short candle stick counts. We decided to share this one of our best MT4 Indicators for free as a treat for the traders who visit our website around Halloween.